Daniel Boom has been around coffee for decades. Starting with equipment and servicing of area coffee shops. He even met his wife when she owned a coffee shop. 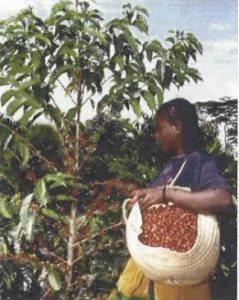 In 1996 Daniel teamed up with Timothy Tulloch, an experienced coffee bean buyer and master roaster.Timothy, originally from Scotland, was working for a Swedish coffee company as a bean buyer in Kenya and Zaire where he met his wife Theresa who, originally from Minnesota, was in Africa volunteering with the Peace Corp. They married and returned to Minnesota and started European Roasterie on their farm outside of New Prague. Using old northern German methods, and three German Probate 1950’s roasters they brought from Germany, they produce a coffee that is more nuanced and subtle, not all dark roasted. Boom Bros sources and hand selects 90% of their green beans directly from small growers in Africa, Indonesia, Australia, Central and South America. They believe in and have adopted Fair Trade practices from the beginning. This allows them to build long term relationships with their growers, ensuring better quality beans and better prices for the farmers. 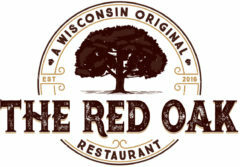 We are pleased to serve Boom Bros 100% Organic & Fair Trade Velvet Hammer coffee at The Red Oak Restaurant. 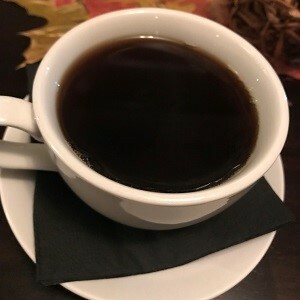 It’s a dark roast coffee made from a blend of four beans from Sumatra, Costa Rica, Kenya and Brazil. 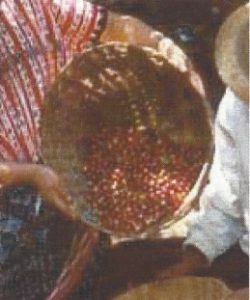 We were interested to learn that this blend was originally created as an expresso blend. We love it! Boom Bros Coffee is based in Milwaukee WI. You can find their products around Milwaukee and at Café 213 in Waterford. 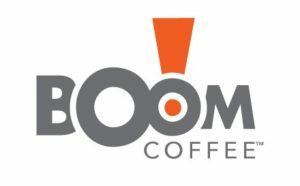 You can also find their coffee on line at BoomBros.com.